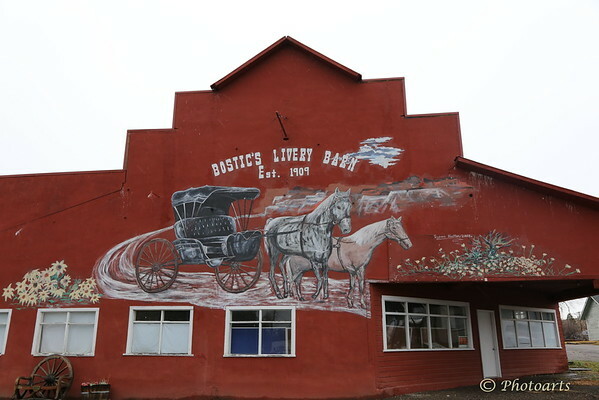 In Glenns Ferry Idaho, a piece of life in the American west is depicted by this mural on the old barn, another joy of road trips and going to places less travelled. Excellent find, by a talented artist !! Terrific mural on the building! Americana for sure -- nice shot of this colorful mural. Great find and nice wide angle.